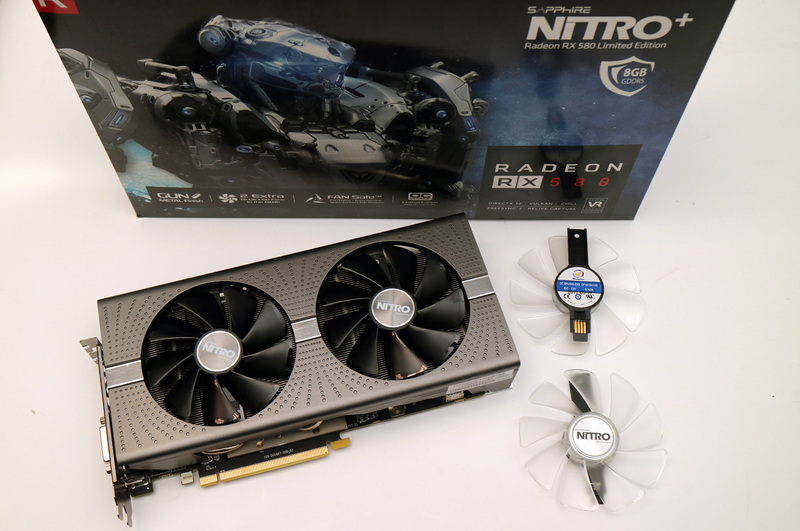 The new larger cooler is a welcome improvement as are the the additional spare fans included in the package of the RX 580 NITRO+ LE GPUs, though the non Limited Edition RX 580 and the RX 570 NITRO+ also come with the same new cooler. Other notable difference however is the additional power connector found on the NITRO+ RX 5×0 series, they all feature a single 6-pin and a single 8-pin PCI-E power connectors. The extra power connector is needed due to the higher clocks and increased power consumption, however it can be a problem for miners willing to connect 6 of these cards with a single power supply. So do have that in mind as well as the fact that the PULSE series are with a single and not dual PCI-E power connectors. Here is how things look according to GPU-Z for the GPU specs. 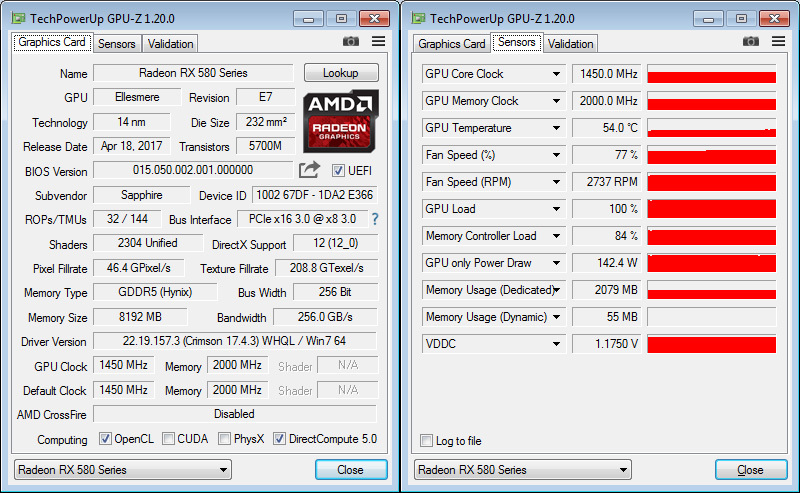 The GPU clock is running perfectly fine at 1450 MHz and allows for some extra overclock to about 1500 MHz, though not much higher than that. The higher GPU clock comes with increased operating voltage of about 1.1750V and that also results in increased power usage, up to over 140W GPU only Power Draw according to GPU-Z. The video memory is running at 2000 MHz and we kind of expected to see Samsung GDDR5 memory used here, after all this is a more expensive top model from Sapphire of the new RX 580 and is also a Limited Edition one. Unfortunately Sapphire has opted to go for Hynix memory for this series and as a result you can expect not the best performance in memory intensive mining algorithms such as Ethash used by Ethereum or Equihash used by Zcash. We can see similar not so great result for mining ZEC using the latest Claymore ZCash AMD GPU Miner 12.4, but this is to be expected since the Equihash algorithm is also more memory intensive. The average hashrate we are getting for ZCash (ZEC) mining with this video card is about 296 H/s. 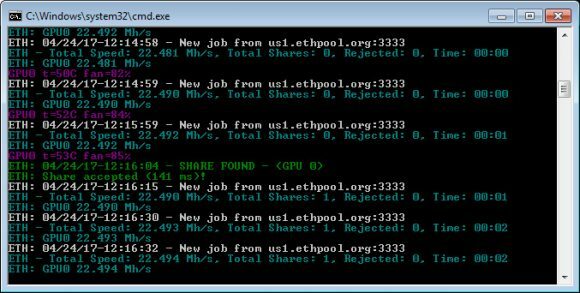 The reason for the lower hashrate than what we have seen from some lower clocked RX 480 GPUs is again most likely the Hynix memory, but also the new driver that AMD has released with support for the RX 500 series might be responsible for the not so good mining hashrates and the official AMD Radeon Crimson ReLive Edition 17.4.3 driver for the RX 500 series is a WHQL one and may not be the best performing one for crypto currency mining. As a conclusion we can say that the Sapphire NITRO+ Radeon RX 580 Limited Edition video cards although seemingly attractive for miners have been clearly designed for gamers and they will do pretty good for gaming with the higher operating clocks. Miners may also like the larger cooler and the extra fans in the package, but the two power connectors and the increased power usage is not something that is so great. At stock settings the RX 580 LE is a bit disappointing in terms of performance, though with some tweaking you can probably get better performance and low power usage. Then again you should be able to achieve the same result with a cheaper RX 580 or even RX 570 after you tweak the memory straps, reduce the clock speeds and operating voltages. So out of the box this is good for gamers, with some tweaking it can still become a miner friendly video card, though you should be careful what you do but the higher price of this particular model may make it not as attractive for miners as for example the GPUs from Sapphire’s PULSE series. Today AMD has announced their new Radeon RX 580 and RX 570 based video cards, a new series which is based on the last year Polaris GPUs with small improvements. The new RX 580 is essentially a slightly improved RX 480 and the same goes for the RX 570 which is an improved RX 470. The new GPUs are still named Polaris, but are now Polaris 20 series instead of Polaris 10 like they were named last year. AMD still relies on the GlobalFoundries’s 14nm FinFET manufacturing process, but the latest production improvements are resulting in better clock speeds for the new GPUs. As a result the new RX 580 and RX 570 based video cards have slightly higher operating frequencies for their GPUs as compared to the first generation Polaris from last year. All other specifications of the new GPUs remain the same as their predecessors RX 480/470 – 2304/2048 stream processors, 144/128 TMUs, 32/32 ROPs and 256-bit memory bus with 8GB and 4GB GDDR5 versions. The new slightly higher operating frequencies of the Radeon RX 580 and RX 570 GPUs however are resulting in higher power usage, the TDP of the new boards is 185W for the RX 580 and 150W for the RX 570 (up with 35W and 30W from the RX 480 and RX 470). As a result of the increased power usage and higher operating frequencies and somewhat better overclocking potential of the new GPUs we are also seeing the addition of a second PCI-E power connector. 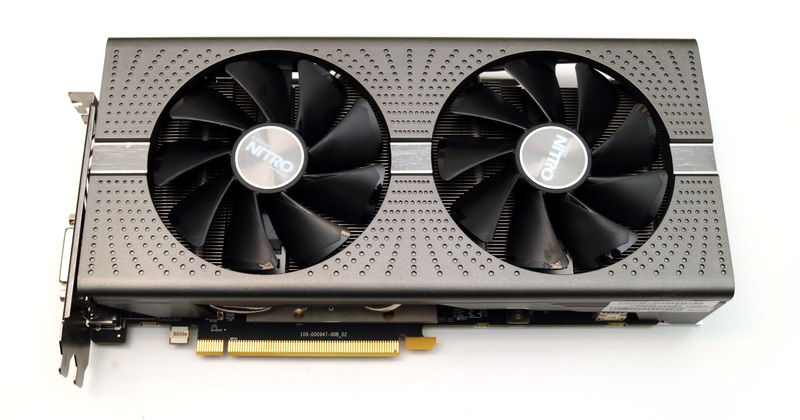 This means that most of the RX 580 and some of the RX 570 will now come with one 8-pin PCI-E power and one 6-pin PCI-E power connector (especially in the case of higher-end gaming and OC models). The extra power connector may not be a problem for gamers and enthusiasts, in fact it can be considered as an advantage with better overclocking GPUs, but the increased power consumption and the extra power connector may raise some issues with the power supply for GPU miners. The only good news is the one regarding pricing, the official recommended prices for the new RX 580 and RX 570 GPUs should be lower with $10 USD than the prices of the previous generation from last year. This means $229 USD for the RX 580 and $169 USD for the RX 570, however we are most likely going to be seeing higher initial prices instead of lower ones with no reference design boards and only custom ones from AMD’s partners. Do expect even higher prices for some Limited Edition and factory overclocked models with more serious boards and cooling solutions. So you might want to take up on your last chance to get some really sweet deals on last quantities of good RX 480 and RX 470 cards while there are still boards available on the market while they are being cleared to open room for the new model line.